Half-built abandoned Greenwich hotel comes back to life as Holiday Inn? 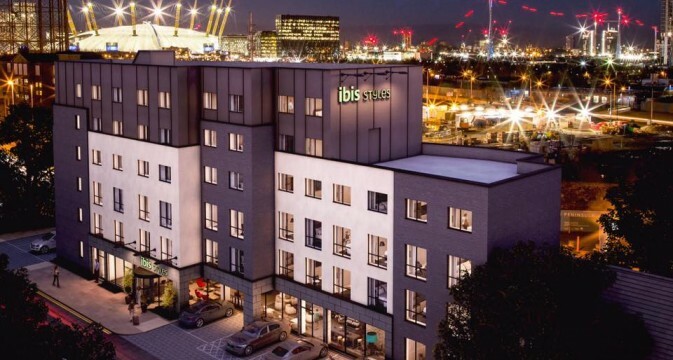 A half-finished hotel in east Greenwich could see building work kick-start into life if planning is approved next week to increase the number of rooms and alter the building. The building is situated in a less than attractive part of Greenwich beside the Blackwall Tunnel approach. It was originally supposed to be an Ibis hotel though hit financial trouble. Those plans had 50 rooms; 68 is the new total. It was originally marketed as a hotel where people could invest in individual rooms – the same type of scheme that also fell through at the Arsenal site in Woolwich – and which eventually became Premier Inn after a buy-out. So it’s goodbye to Ibis and hello to Holiday Inn, though they have another hotel very nearby and received approval to expand. 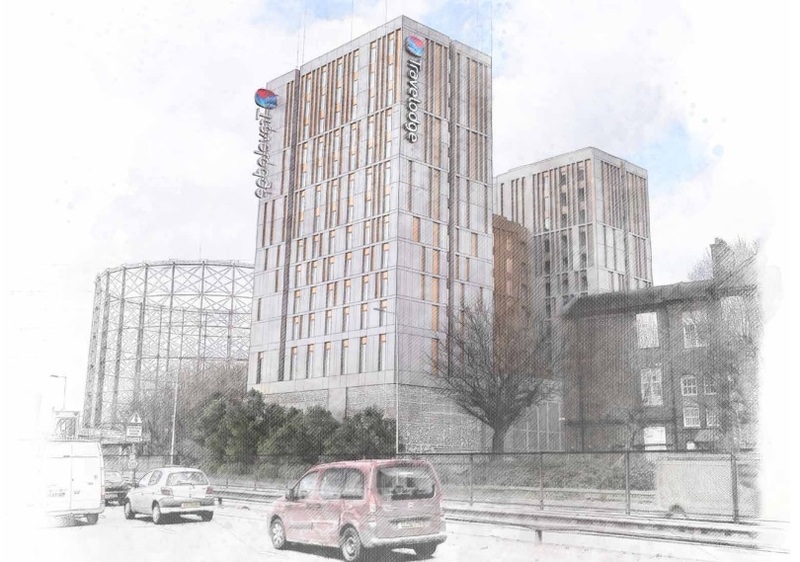 A 300-room Travelodge is also proposed nearby with plans submitted in February. These hotels will attract a mix of customers – some for the O2 and some for “old” Greenwich, or maybe a bit of both. As said many a time, those heading to and from the Jubilee Line and O2 face traversing hostile and anti-pedestrian street design. I’ve read through documents and there appears to be nothing to suggest any income will go towards improving that. you should have gone through the back planning history of that site – the hotel was an Inspectorate decision (of course) after the Council turned it down. But there had been a back story before that. One of the high spots of the planning application was the assertion that was within – I think it was 5 – stations walking distance. It is in the most dreadful position possible and to my mind all planning inspectors should be all forced to stay there when they are in London. It backs not just onto the motorway but onto the hell hole slip where Blackwall Lane traffic joins the main stream. I took an American from New York onto to it a couple of years ago – all he could say was ‘they could never cope with this back home’.. The other side of the road are protected wharves and the new factory planned for Hansons. New factory? Is that on the current concrete site next to the golf range? Surprised they continue developing industry in this place! Do you have more details? mmmmm Holiday Inn – wasn’t that the hotel where the restaurant on the ground floor was being given a weekly fine by the EHOs for the state of their kitchens – oh ok payment is quicker than cleaning. Lol, that photo makes the place look a lot nicer than it is.